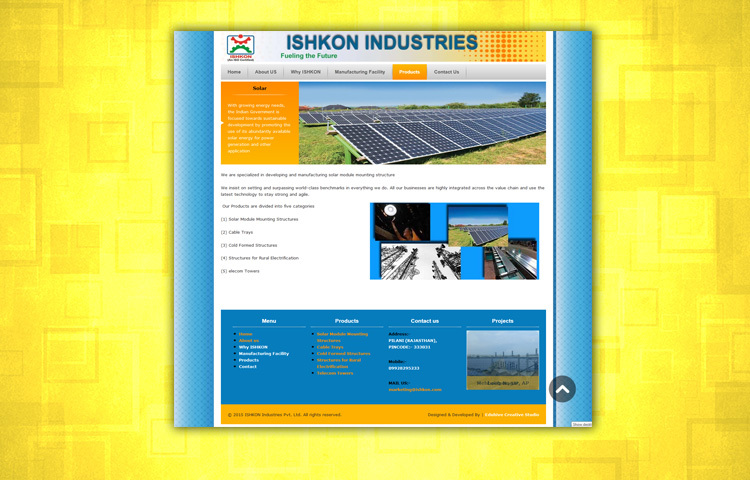 Ishkon Industries address to the changing needs of the customer in infrastructure space. Specialized in developing &amp; manufacturing solar module mounting structures.Ground mount, Roof mount, Custom designed. 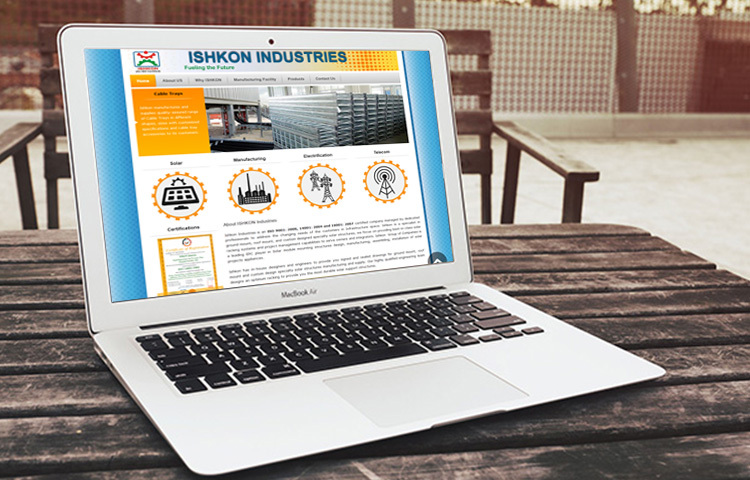 Dynamic website to showcase their products manufacturing capabilities & projects. 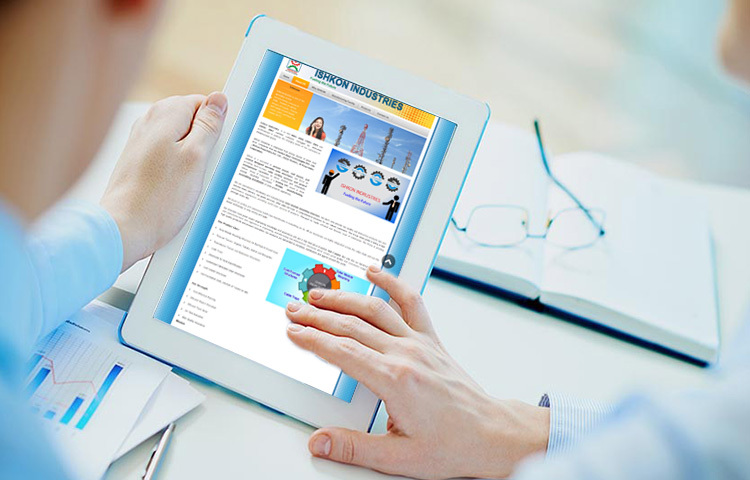 Check out our services on Dynamic Website Design for startup’s. Read how internet marketing is driving the business today.